Kenli Nettles is a junior at Arthur-Lovington-Atwood-Hammond High School. Kenli competes in both hurdle races, high jump, and triple jump. Find her covering meets in the Champaign area. Kenli wanted to be a Milesplit intern because it gives her the opportunity to meet many people, and work on her photography and journalism. An animal that best describes Kenli is a red fox because they are ambitious, wise, run fast, and jump high. 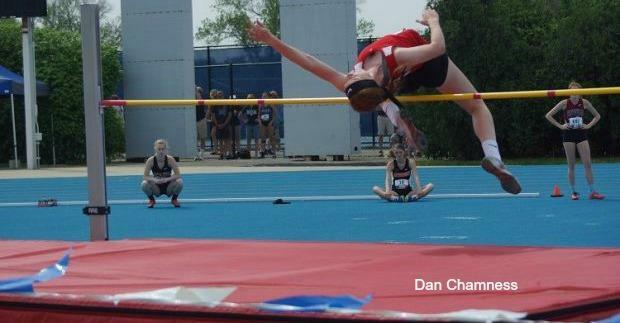 Kenli says the best event in track and field is the High jump. Her favorite sports teams are the Green Bay Packers and St. Louis Cardinals, while the foods she enjoys most are pasta, potatoes, and bread. The best running shoes and sprint spikes are made by Nike and New Balance according to her, she is also team iPhone.